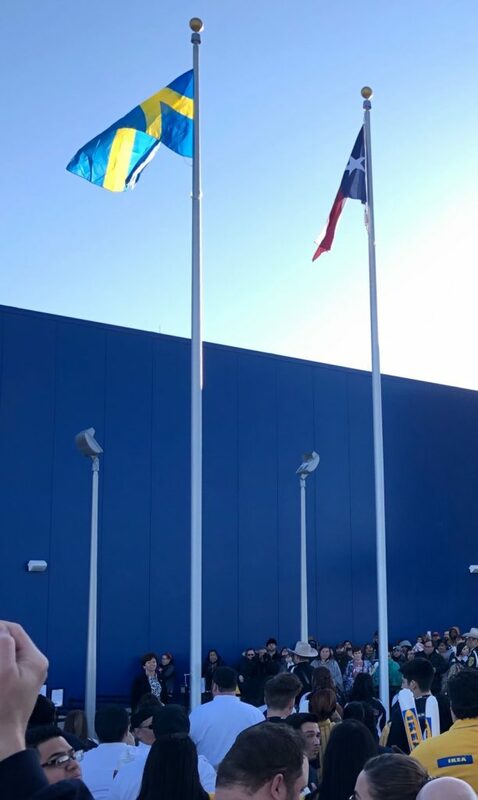 This is the 49th IKEA store in the US, and it is located in a suburb of San Antonio called Live Oak. 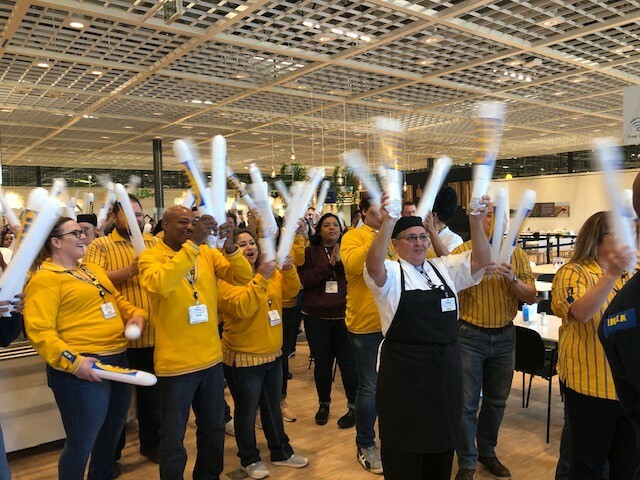 A large crows was gathered outside the store for the opening ceremony which also was attended by The Mayor of Live Oak together representation from IKEA and the Swedish Embassy. Meeting with Ron Niremberg, Mayor of San Antonio, where green initiatives were discussed. Astrid Marklund Hon. 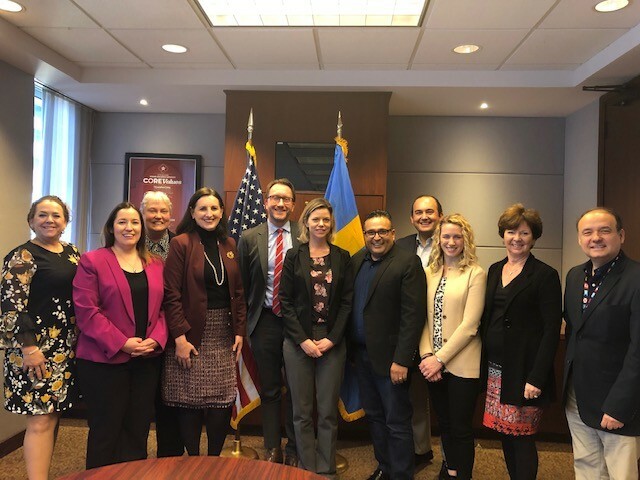 Consul, Monica Enqvist, Public Diplomacy, Press and communication, Mayor Niremberg, Göran Lithell, Deputy of Mission at the Swedish Embassy. 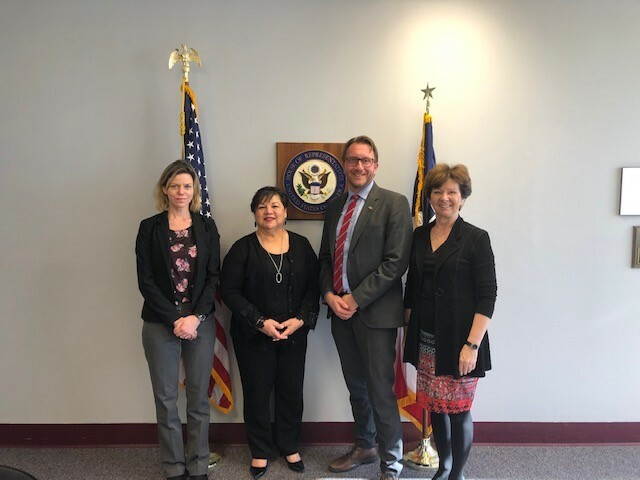 Meeting with the office of Congressman Joaquin Castro. Information meeting with City of San Antonio. Live Oak’s City Council members at a reception at Menger hotel. 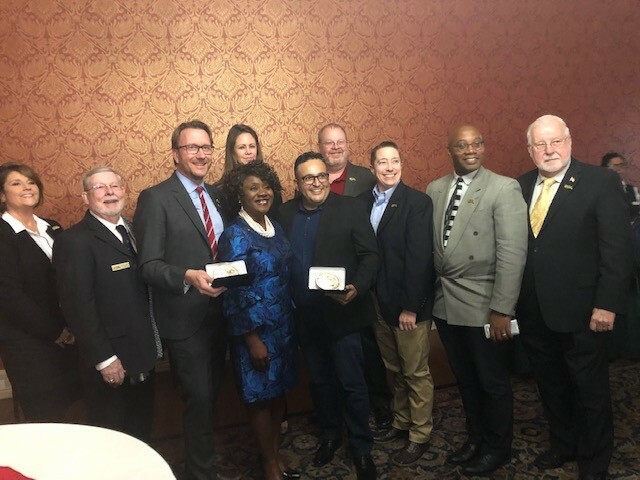 The city presented Göran Lithell, Swedish Embassy and Gus Tinajero, IKEA, with belt buckles. 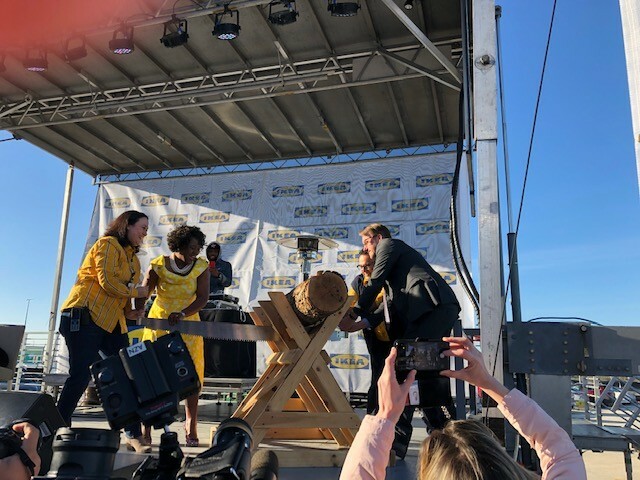 Ribbon cutting at IKEA is sawing a log! 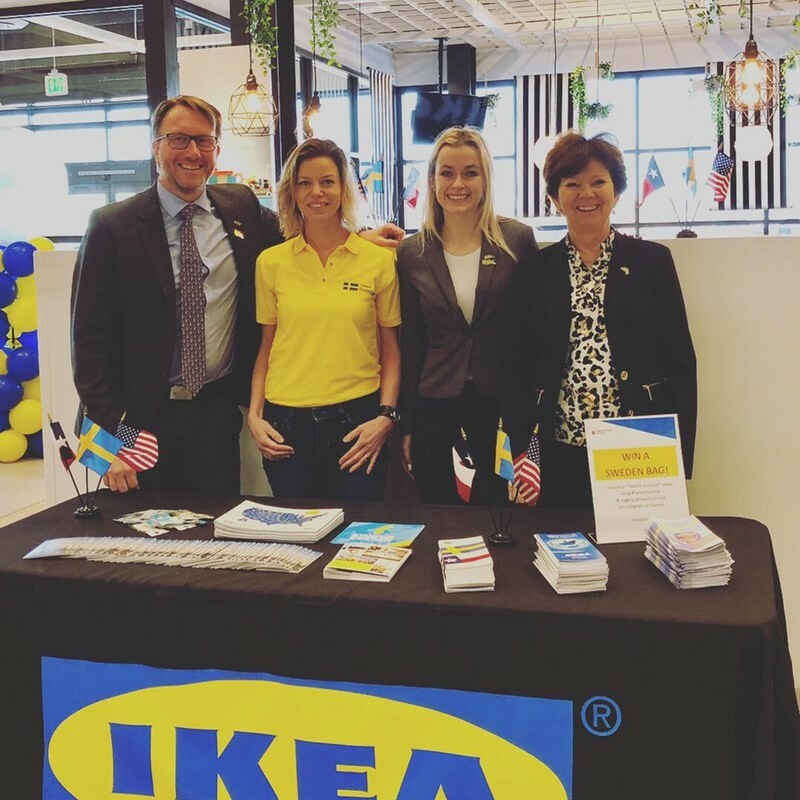 Diedre Goodchild, Store Manager, Mary Dennis, Mayor of Live Oak, Göran Lithell, Deputy of Mission at the Swedish Embassy and Gus Tinajero, IKEA. The Swedish flag was displayed in the sunshine. 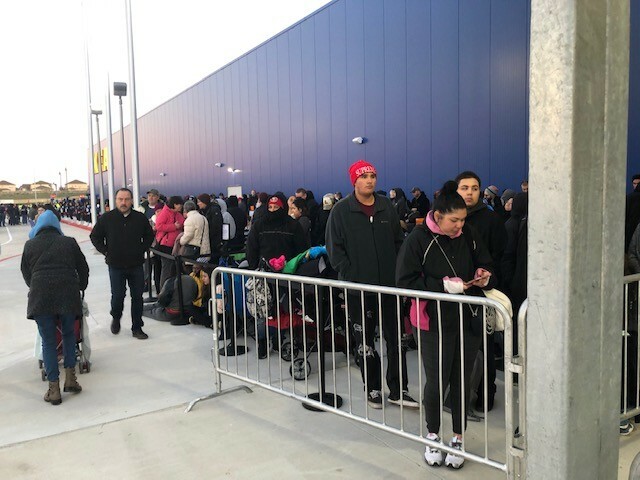 There was a long line of people waiting to get into the new store. Press was covering the opening. 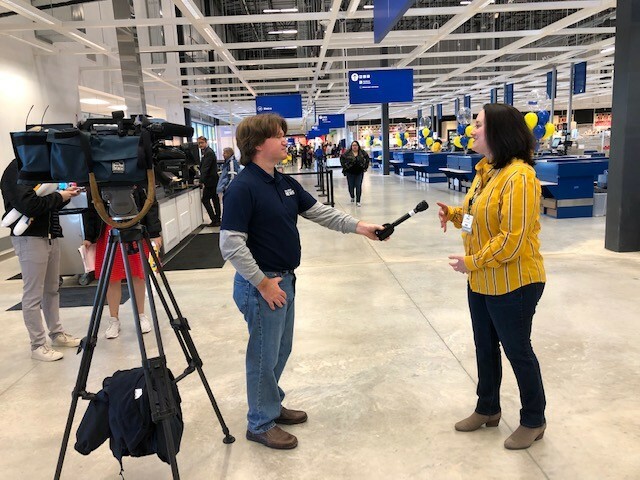 Here in an interview with Store Manager Diedre Goodchild. 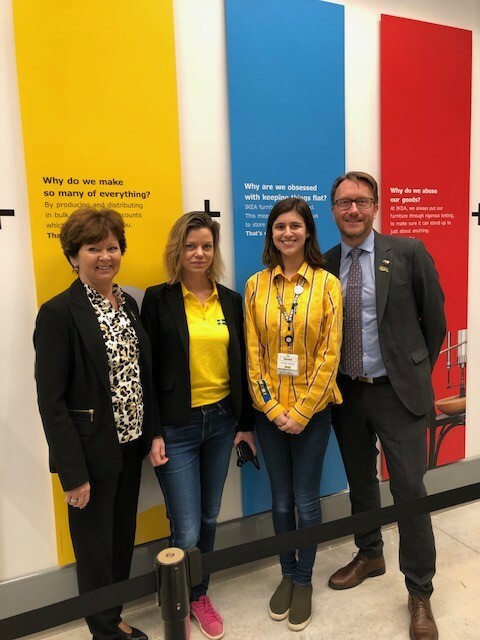 Göran Lithell, Deputy of Mission at the Embassy, Monica Enqvist, Press and Communication at the Embassy, Elin Sjödahl, Swedish American Chamber of Commerce and Astrid Marklund, Hon. Consul.